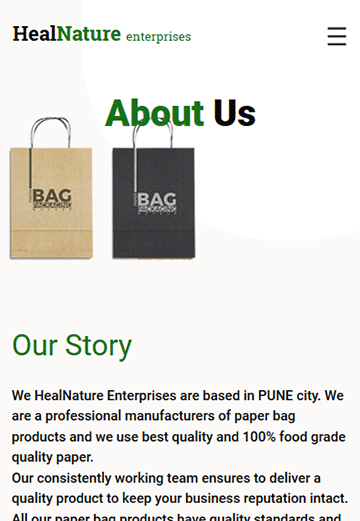 Heal Nature Enterprises is based in PUNE city. 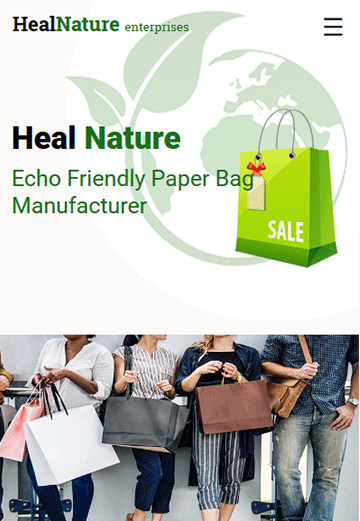 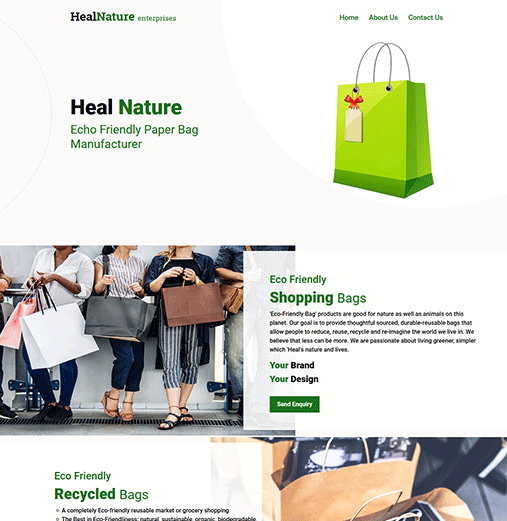 We are a professional manufacturers of paper bag products and we use best quality and 100% food grade quality paper.Our consistently working team ensures to deliver a quality product to keep your business reputation intact.All our paper bag products have quality standards and also meet the FDA standards. 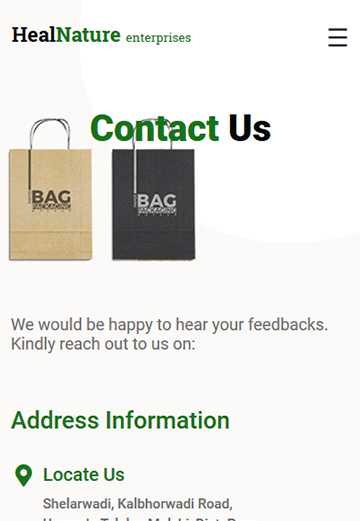 Our existing customers elect us for the best quality products along with printing. 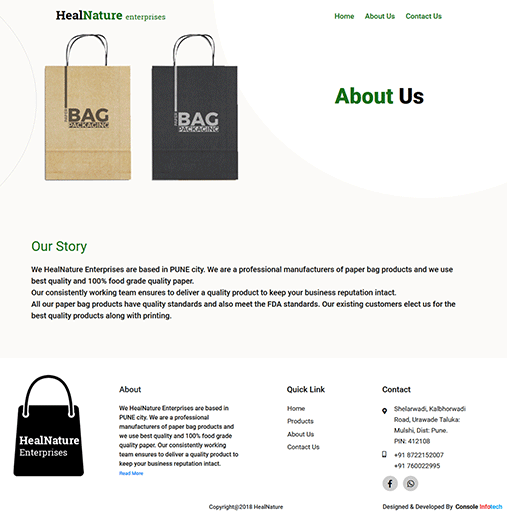 1) Before starting development of actual project we did market analysis. 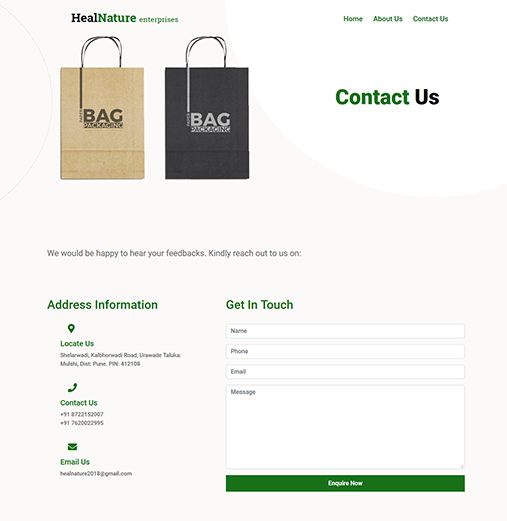 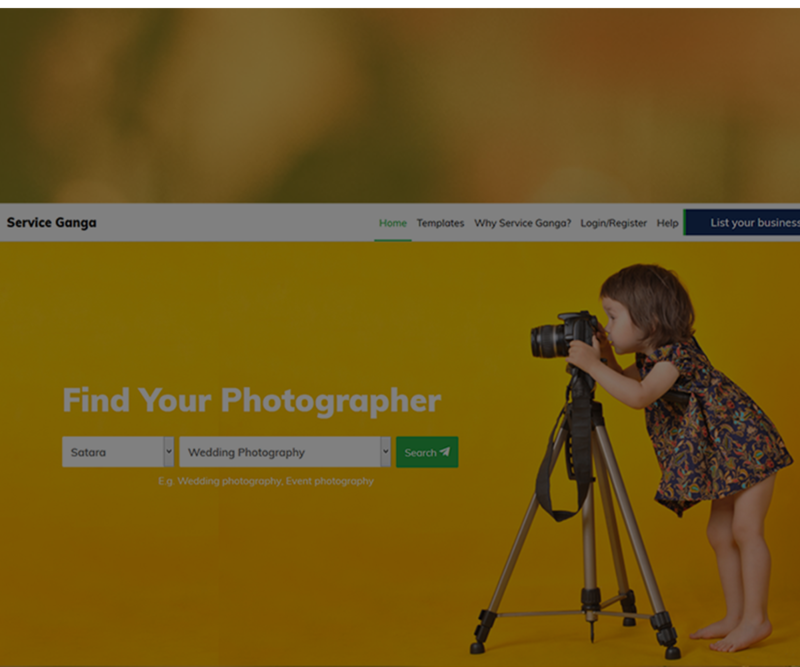 2) Designed wireframe and shared with client and as per their inputs recursively we designed and finalized structure. 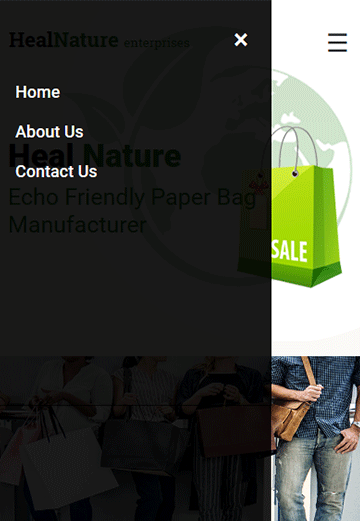 Designed and developed as per the W3C Standards.